Ambient light conditions create reflections off glossy surfaces. Thus, excess light from sunlight or indoor lighting distort visibility and distract seamless interaction with your lit display. 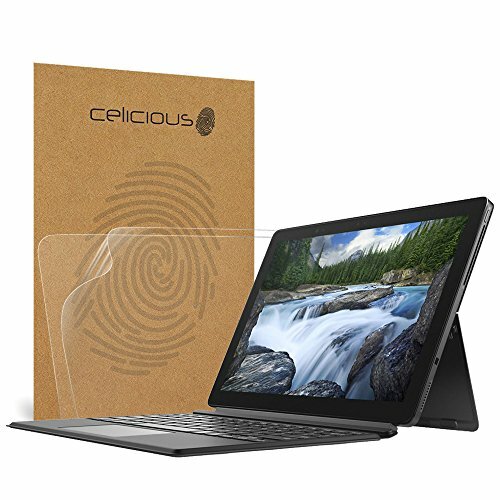 Celicious Matte for Dell Latitude 12 5290 (Touch) is a screen protector that solves this limitation of the glossy surface with its anti-glare coating. Made of high-grade PET film, the protector diffuses mirror-like reflections increasing visibility and with its matte surface helps reduce finger smudges. The protector is easy to apply with its advanced silicone adhesive backing adhering firmly to the screen without any trapped air pockets. The pack includes 2 screen protectors, an application kit and application guides. If you have any questions about this product by Celicious, contact us by completing and submitting the form below. If you are looking for a specif part number, please include it with your message.